Share your signature brew, it's coffee Thursday! For those looking to grow their social media accounts, it can be beneficial to use specific hashtags for certain days of the week. For example, if it happens to be a Thursday and you drink coffee (or your social media accounts are related to coffee in any way) you can likely benefit from the #coffeethursday hashtag. Finding a few popular day-of-the-week hashtags is an excellent way to grow your accounts. What is the Coffee Thursday Hashtag? A lot of people drink coffee. For some, there is no functioning without that daily cup. As you might imagine, coffee and coffee related images and posts are quite popular with anyone who has a coffee habit. Combine that with the lack of energy that comes with the tail end of the work week when a cup of coffee is especially needed and the creation of Coffee Thursday was born. While most people drink coffee on a daily basis, social media posts about coffee can get lost simply because there are such a huge number of them. That's where #CoffeeThursday comes in. This hashtag focuses the post to a specific day of the week allowing for a better chance that people searching for coffee-related content will see it. It basically narrows down a huge category to a more manageable amount by focusing the topic on a specific day of the week. That being the case, the actual post can depict a wide variety of activities. The post can be a cup of coffee sitting in front of you as you begin the workday, a funny coffee cup your coworker uses or your favorite coffee quote. 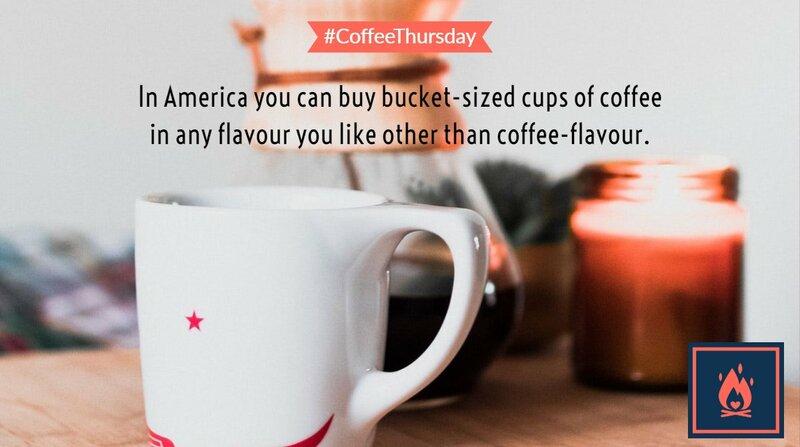 If it's related to coffee in some way and you post it on Thursday, it's fair game to use #coffeethursday as one of your hashtags. There are a number of reasons it makes sense to use at least one of the Thursday Hashtags if you have a social media post going up on that day. If you love coffee and can use that love to enhance your social media postings, Coffee Thursday can be an excellent way to grow your followers. Using hashtags has become common for most social media platforms. On both Instagram and Twitter, using hashtags is the primary way users search for information. While currently not used as often on sites like Facebook, Snapchat, Pinterest, and Youtube, hashtags are growing in popularity as a way to find relevant content. Using #CoffeeThursday is a way to make it easier for new people to find your content. One of the great benefits of using coffee as a theme is there are so many people who drink it on a daily basis. This gives you a huge pool of people who may find your account through this topic. The Coffee Thursday hashtag makes it simple for users to find your account which may ultimately turn them into regular followers. This can be especially true if you make it a habit to create engaging coffee posts every Thursday. By creating an ongoing series of coffee-related posts, it becomes something followers look forward to seeing. Once you turn casual visitors into regular visitors, you then have the opportunity to create a community on this topic. By using this simple hashtag, you provide an opportunity for anyone who enjoys coffee to find your social media account which has the potential to grow it into something much bigger. If you have ideas, please submit your idea here or contact us.